Our mission is to provide a lifetime experience to our guest by giving them a unique and fun environment to enjoy! Outrageous Unlimited in Bethlehem was established in 1995 with one thing in mind and that was to be a clean, comfortable, friendly, sterile atmosphere to the tattoo and body piercing industry in the Lehigh Valley. 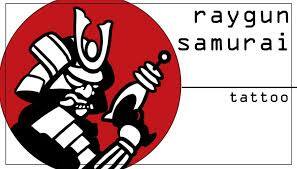 We want to strive to not be your typical tattoo shop. 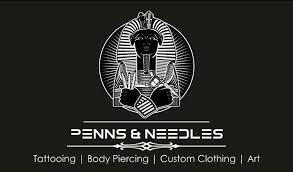 Our desire is to be the Lehigh Valley’s best custom tattoo shop. We promise to provide you with a unique, custom piece of art that you can be proud to display forever. We are always working to get better, making sure you get the highest quality tattoo possible. 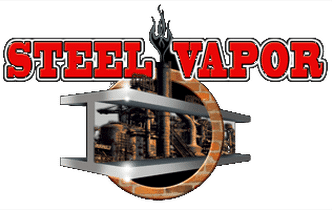 Steel Vapor is an upscale vapor store and lounge that carries a full product line of vapor products from starter kits to premium devices. If you vape we have what you need! We stock a full range of eliquid, with a focus on local companies just like us! Steel Vapor is the area’s largest vapor lounge with a custom tasting bar unlike any other in the area. We encourage our customers to relax and enjoy free hotspot Wi-Fi or catch the game on one of our two 51 inches TVs from the comfort of our leather sofas, chairs or pub tables. BYOB for customers 21+, so come watch your favorite sporting event or show while you relax with us. 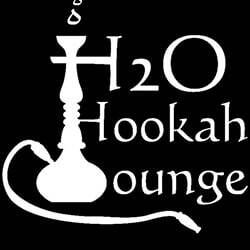 Sultana Hookah Lounge is where memories are made and shared between friends and family. We have countless flavors to try that will bring a lasting experience to those who want a good time. We are the top choice in hookah lounge picks because we provide remarkable service by satisfying your every desire and by creating an exemplary atmosphere.